Note to self - don't overthink this. Fresh ingredients layered on a plate with olive oil and sea salt - it is plenty. 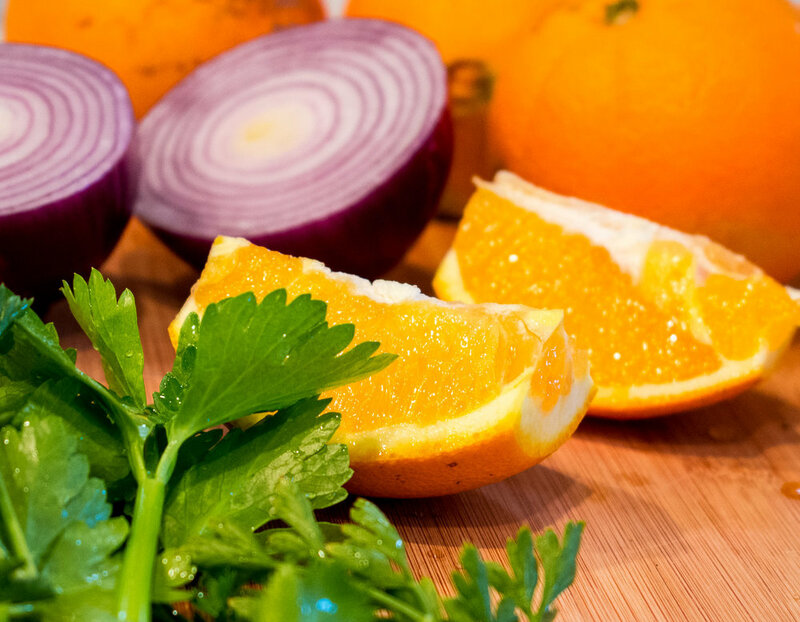 Just peel and segment the oranges, trim the celery leaves, slice some red onion and mince some parsley leaves. Layer on a plate and drizzle with some good olive oil and a little sprinkle of sea salt. Top it off with some orange zest. Done and done! 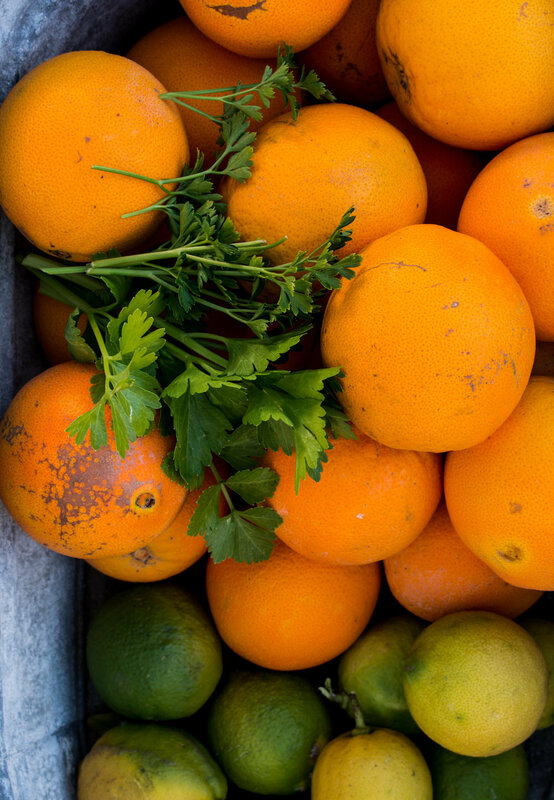 Peel and supreme oranges. If you are in hurry - just slice the oranges. 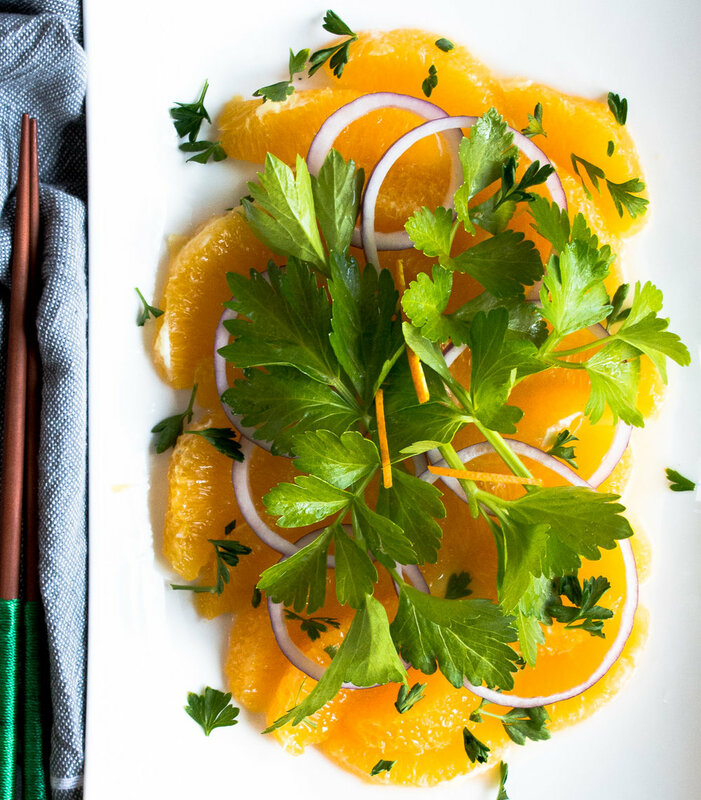 Lay orange segments or slices on a plate and top with thinly sliced red onion. Trim young celery tops and place on top of the onion slices. Sprinkle with minced parsley leaves. Drizzle on a bit of olive oil and sprinkle with sea salt. Finish with orange zest. NOTE. Save the peels for additional zest or candied orange peel. So many options!